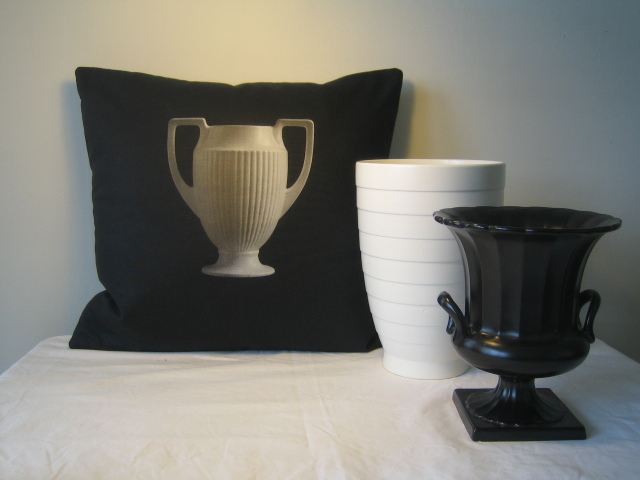 Choice of two screen printed images (amphora or swan vase) on polished cotton/polyester mix fabric, backed with recycled cotton or polycotton drill. Outer and lining fabrics have been pre-shrunk so cushion won’t buckle out of shape if you need to wash it! 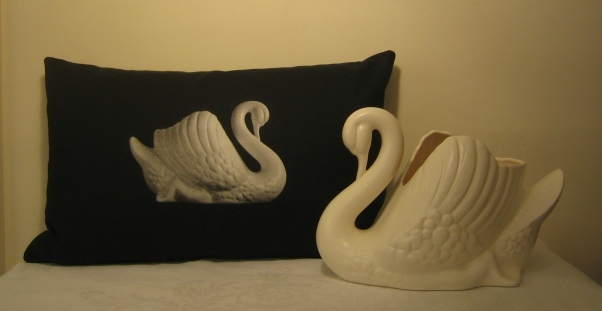 NZ made feather inner – means that the cushion both has a good shape and cushy-comfort! Prototypes have been sofa tested!